After crew members have completed their global ocean adventure, some go back to their previous lives and occupations, some decide on a future in the marine industry, some take time out to assess their next move in life and others seek their next challenge. One former crew member who had no previous sailing experience before taking part in the race, is now preparing for his next adventure. Dhruv Boruah, an ecommerce consultant from London, took part in the opening leg of the 2015-16 edition of the race on board GREAT Britain, racing5,186 nautical miles from London to Rio de Janeiro. 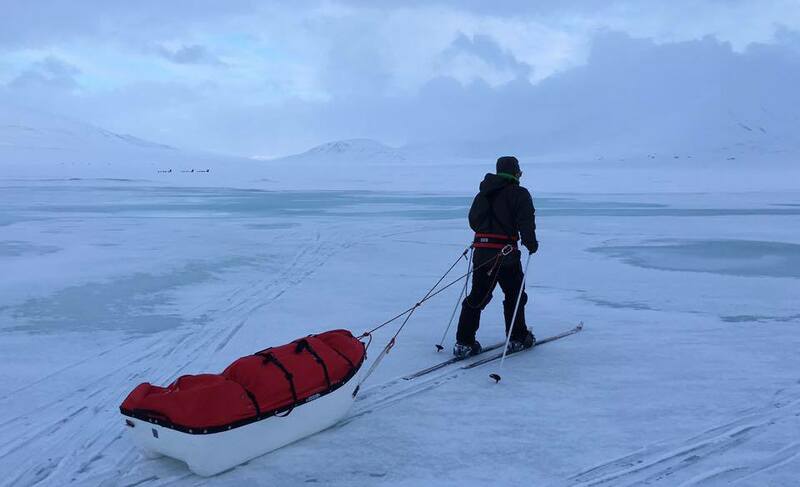 Swapping sea for snow, Dhruv is now training for an 800 mile journey to the middle of the Arctic Ocean as part of an expedition group to be the first to reach the 'Northern Pole of Inaccessibility'. In between his training Dhruv has also become a Clipper Race ambassador and has successfully arranged regular meet ups with past and future crew to share experiences. Dhruv says: “I always try to push myself out of my comfort zone. One evening, when the doors of one of the London tubes opened, I saw the incredible Clipper Race 50:50 advert. When I saw it I thought, ‘I am not a strong swimmer, I have never sailed before’, I should do ocean racing. The opportunity was there and I hate ‘regret’. After my leg, if I was not checking the Race Viewer updates or boring friends with ocean racing stories; I was looking for my next thing. I saw this incredible polar adventure on the BBC and I immediately got in touch. The main goal for Dhruv’s exhibition is to collect and share as much scientific data as the team can to benchmark the condition of the Arctic Ocean. As a world first expedition, the team will be able to collect data from places that have never been traversed before. Even before his Clipper Race leg began, Dhruv has played an active part in the race’s social scene, organising regular meet ups with alumni and future crews, before becoming an ambassador for the race. He says: “After my leg, I was anxious and wanted to know the stories from the other legs and the close finish the teams were experiencing. Hearing the stories from the crew is completely different than reading their daily blogs! “I definitely wanted to organise the meetups and I have to thank the social secretaries from other teams who helped me out and the alumni and Clipper 2015-16 Race crew for attending. Everyone re-lives their Clipper Race experience when they attend the meetups. For a few hours, they can escape their corporate life and talk about trivial things like challenges around personal hygiene, using the heads, cleaning the bilges, wet underwear, the laz, the skipper stealing all the nuts, the sail locker, boat gossip and more - It is great! The new leggers could pre-empt boat culture before joining their boat; the alumni and returning leggers caught up on the latest stories and gossip and the 2017-18 crew benefited from answers to questions like which leg and why? “On a serious note, The Clipper Race community is special; a tribe of cool people who share similar interests and attitude to life. It is very important that we cherish this bond and not lose the connection. These meetups are just one way to keep connected,” Dhruv adds. Are you an alumni or future crew member wanting to meet up and swap stories or ask questions to those who have experienced the race? Dhruv’s next meet up is happening on Sept 24 at the Southampton Boat Show or you can also join him in London on Friday September 30. Just click the links to RSVP and find out more. For more information on Dhruv’s up-coming icy adventure and to show your support, click here.